Governor Fayose last night intervened on a plan to arrest Apostle Johnson Suleiman of the Omega Fire Ministry by the DSS after the Apostle spoke against the killing of Nigerians by Fulani herdsmen at his crusade last Sunday. 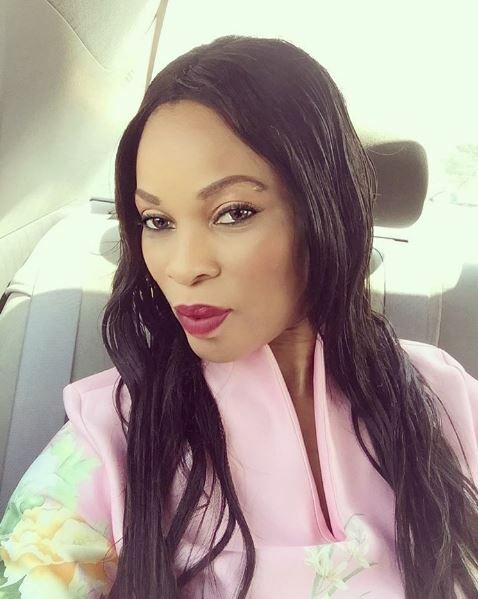 Nollywood actress Georgina Onuoha has applauded Governor Fayose for preventing the arrest and also slammed DSS and the FG. That a man of God stands on his pulpit to preach against the mass killings melted on Nigerians by the Fulani Herdes men and DSS wants to arrest him? Wow what happened to freedom of speech? What happened to the rights of Christians and other Hausas both Muslims and Christians that have been killed by these nomads grazing people’s farmlands and killing? I am yet to see DSS call for their arrest??? Because a man of God is asking his people and followers to protect themselves and families from these Fulani cattlemen; DSS attempted to arrest him? I hope they don’t start what they can not finish. It is true Christianity preaches tolerance but it gets to a point , where as a man, you have to defend your honor and protect those of your household. I am yet to see or hear our Fulani president condemn this barbaric acts and unjust killings.. I am yet to see the political leaders from the north defend and reject this unjust killings, I’m yet to see the spiritual leaders and traditional rulers from the north condemn these acts; despite the fact that most innocent victims of these menace have been the northerners? I have not and yet to see the greedy Igbo governors defend their people let alone protect them from these Fulani cattlemen? It will be a big shame if the leaders of our nation continue to remain mute on this unjust killings done to Nigerians regardless of your faith, religion and ethnicity.. Our nation is fast becoming an autocratic state led by an iron man who don’t care to protect its people from death and hunger. I salute the governor of Ekiti Fayose who has publicly taken a stand to protect his people from these senseless killings. I also applaud Pastor Oyedepo on his preaching against this madness we are witnessing.. I hope all well meaning Nigerians will begin to call out their spiritual leaders and political leaders to defend them from this Fulani cattlemen. I heart you Apostle Johnson Suleman for speaking truth to power and defending the people of your household.